A public health perspective of the rise in terrorism and violent radicalization points to social determinants of health including discrimination, social isolation, and stigmatization of groups such as Muslims or Arab American as factors that can make people more vulnerable to extremist influences. 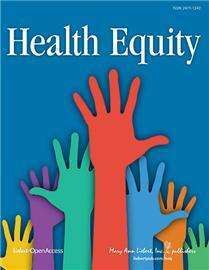 The social determinants and risk factors for violent radicalization that contribute to terrorist activities is the focus of an insightful new article published in Health Equity. In the article entitled "Social Determinants of Health, Violent Radicalization, and Terrorism: A Public Health Perspective," coauthors Héctor Alcalá, University of Virginia, Charlottesville, Mienah Zulfacar Sharif, University of California, Irvine, and Goleen Samari, University of Texas, Austin, argue that anti-Muslim sentiment promotes discrimination and marginalization of Muslim communities, limiting their social resources and social cohesion, and perhaps making some individuals more likely to engage in radicalization and acts of political violence. "Promoting community capacity building and augmenting social resources may be effective strategies to improve health and limit radicalization," says Health Equity Editor-in-Chief Ana E. Núñez, MD, Associate Dean for Diversity, Equity and Inclusion and Professor of Medicine, Drexel University School of Medicine, Philadelphia, PA.